REGISTRATIONS ARE NOW OPEN FOR 2018! Call (954) 432-8788 or email us info@vagnerrochamartialarts.com for additional information and availability or click here to contact us. 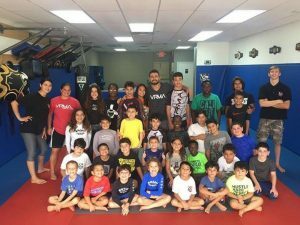 Summer Camp at Vagner Rocha Martial Arts is always fun! 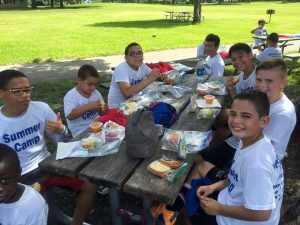 Our goal is to provide an exciting summer for all kids (ages 4-13), while challenging their physical fitness and character development! Kids will be spending a majority of the time learning and practicing Brazilian Jiu Jitsu. This will make them more confident and give them the necessary skills to defend them-selves. Kids who like to compete will also benefit greatly from the camp and may use it as a preparation for upcoming tournaments. 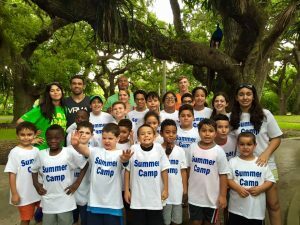 Summer Camp Indoor Activities include: Soccer, Dodge Ball, Team Challenge Tournaments, Obstacle Courses, Strength and Conditioning, Competition Classes and daily Brazilian Jiu Jitsu Classes. The BJJ classes include instruction on Jiu-Jitsu Techniques, Intense Drilling, Judo, Wrestling, Standing takedown techniques, Defensive Striking Techniques. 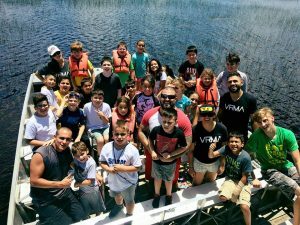 Summer Camp Weekly Field Trips include: Water Park, Movie Theaters, Bowling, Laser Tag, Field Day, Airboat Rides and & more! Siblings Discounts Available! Package Discounts Available! We are looking forward to an awesome summer! Our space is limited and we encourage you to register early! Registrations are now open! Call (954) 432-8788 for additional information and availability or click here to contact us.